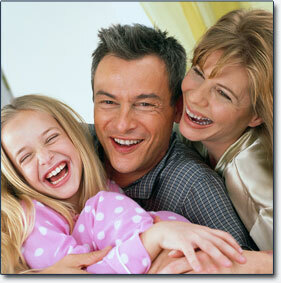 We have the experience to analyze and recommend the correct personal insurance coverage for you or your family. We offer Homeowners and Renters Insurance, Auto Insurance, as well as Long Term Care Insurance, Health and Life Insurance policies. The value of good auto insurance often doesn't become apparent until you really need it. Whether it's a minor fender bender or a more substantial accident, it pays to have insurance coverage you can count on. Individual or family health insurance can provide the important protection needed in the event of illness and for regular preventive care. Glenn Insurance Agency offers affordable HMO, PPO, POS, and Major Medical Health Insurance policy coverage. Life Insurance can help protect your family and is an excellent way to accumulate money for college, retirement or unplanned expenses. A person should have life insurance that approaches six to eight times their annual gross income. Glenn Insurance Agency offers affordable term life, whole life, and universal life insurance policies. As you age, there's a good chance you'll need assistance with day-to-day activities. And that assistance can be expensive. Long-term care insurance can help pay for the care you'll need, while helping you protect your retirement assets, maintain your independence, and avoid becoming a burden to your family. For most people their home is their most important investment. Glenn Insurance Agency offers homeowners insurance policies that have the flexibility to meet individual needs and, above all, provide you with the security that comes only from the knowledge that your home is safe. We also offer affordable renters insurance policies that have the same flexibility to meet individual needs. If you live in an apartment or a rented house, a renters insurance policy covers you and your possessions. A standard renters insurance policy protects your personal property in many cases of theft or damage, and may pay for temporary living expenses if your rental is damaged so seriously you can't live in it. It can also protect you from personal liability. Also called umbrella insurance, these policies provide coverage above and beyond that offered by basic auto, home, boat, and recreational vehicle policies.